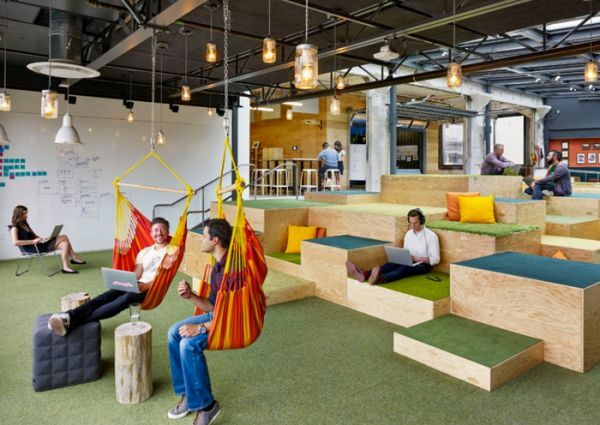 It’s common knowledge that workspace environment influences the people who work there. 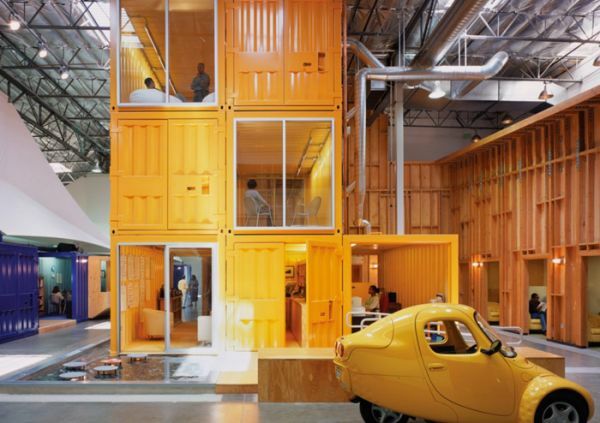 Creative design, features and office space layout can give rise to great innovations and productivity -- or stifle it. So as you ponder about your own workspace, here are six that buck tradition, embody innovation and inspire awe. 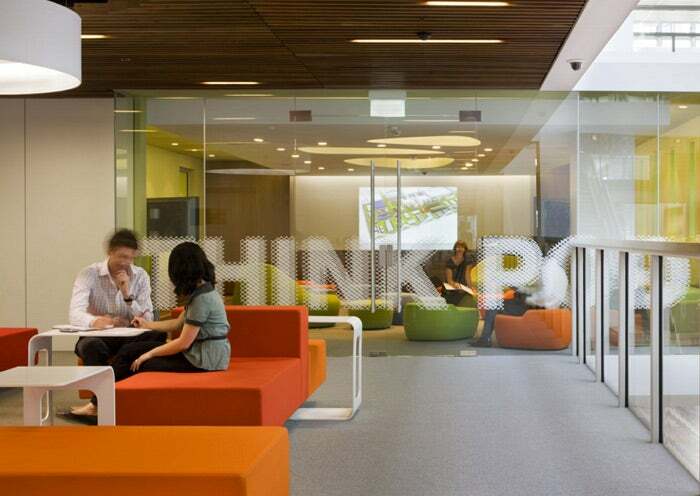 Today is Earth Day, a day when green office spaces -- like the Macquarie Group’s based in Sydney, Australia -- should take a bow for its leadership in use of green technology. 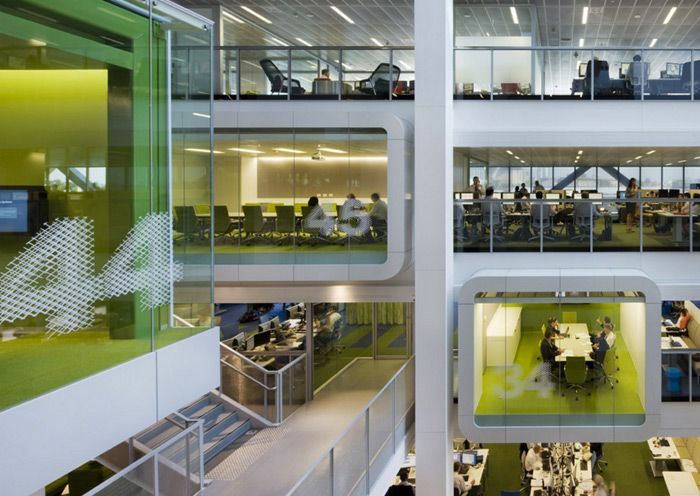 The offices use harbor water cooling, chilled beams and zone-controlled lighting, significantly reducing energy consumption, according to Architect Magazine. The building is not only super earth friendly, but it’s built to reflect the financial service company’s management style, Activity-Based Working, which revolves around meetings and collaboration. This translates into a stunning design of a 10-story atrium, which serves as a central meeting core, with meeting pods branching off it. 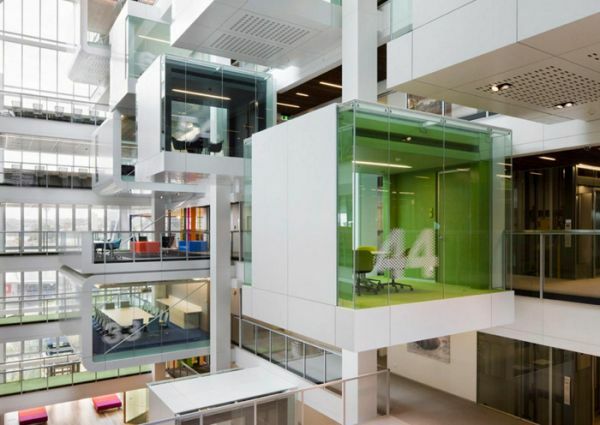 All these pods are linked by aerial staircases, which are designed to be emblematic of the interconnectedness of Macquarie’s client relationships, according to the Arch Daily. 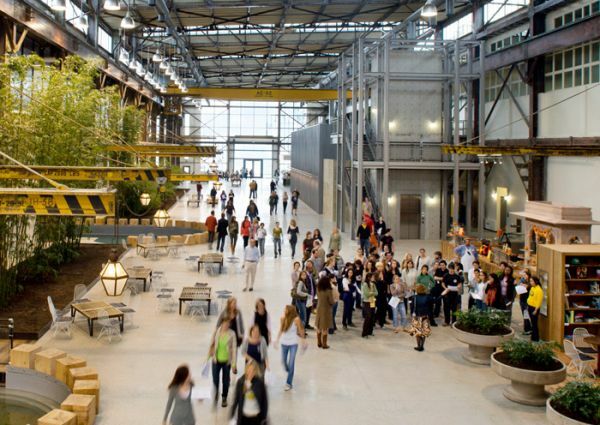 The brands Urban Outfitters, Anthropologie and Free People used to be spread out over six separate offices in Philadelphia, but in 2011 the company hired the firm MSR Design to convert an approximate 350,000 square-foot old navy shipyard into an office that could house the three brands. The design of the Urban Outfitters Corporate office space beautifully reflects the rough-hewn feel and aesthetic of the three brands, with salvaged timber made into stairways and artfully rusted steel beams, integrating both the old -- like workspace tables fashioned out of old sewing machines -- and new -- such as fabric swatches and clothing mock ups. 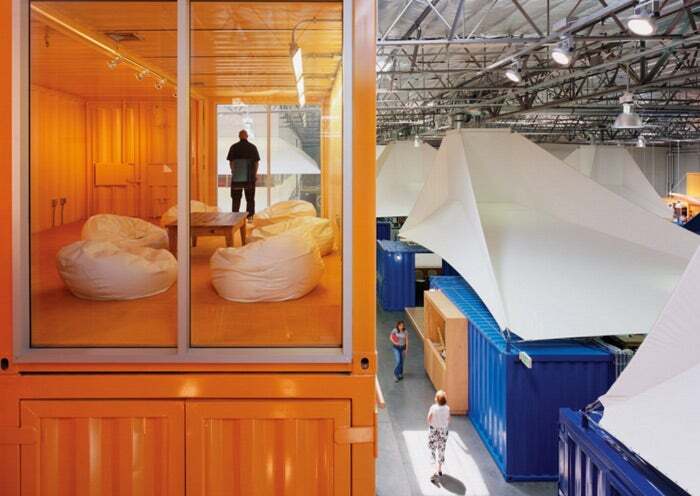 The old navy shipyard space also offers enormous collaborative spaces for different departments to meet together. 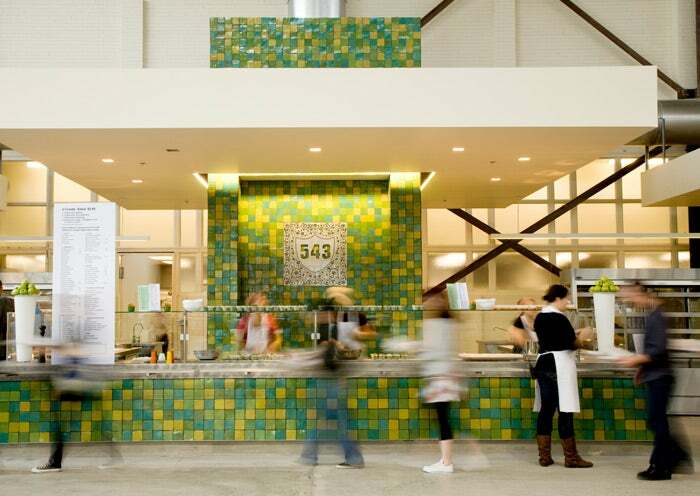 Some additional perks include a cafeteria, coffee shop, library, fitness center and outdoor courtyard. Palotta Teamworks is a nonprofit built around high fundraising goals and multi-day events, such as the AIDSRides. When the company outgrew its old space, the Clive Wilkinson architect firm was brought in to redesign a 47,000-foot warehouse for Palotta's new offices. With a tight budget, there wasn’t enough money for uniform heating and air conditioning. However, the constraints gave rise to innovation. For building materials, lumber and shipping containers were used, and to get around the air-conditioning dilemma, air-conditioned tents were built, where employees could congregate when needed. 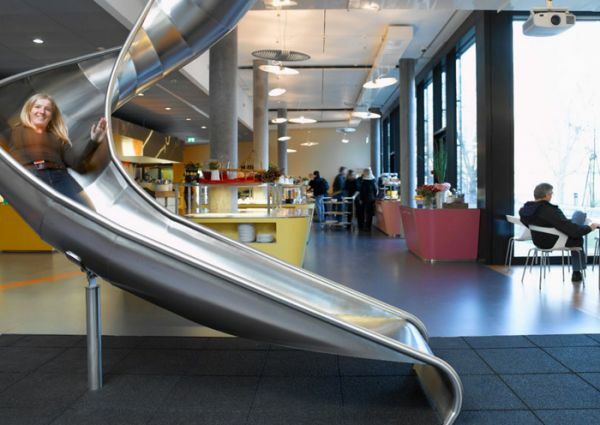 Google has offices all over the world -- from New York to Mountain View, Calif. to Zurich -- and many of the offices have slides. All kinds: Enclosed tubes, twisty ones, short slides and long. Clearly encouraging play and imagination is part of the management style and culture. Some more play features in Google offices? The Venice Beach, Calif. location has a rock climbing wall. 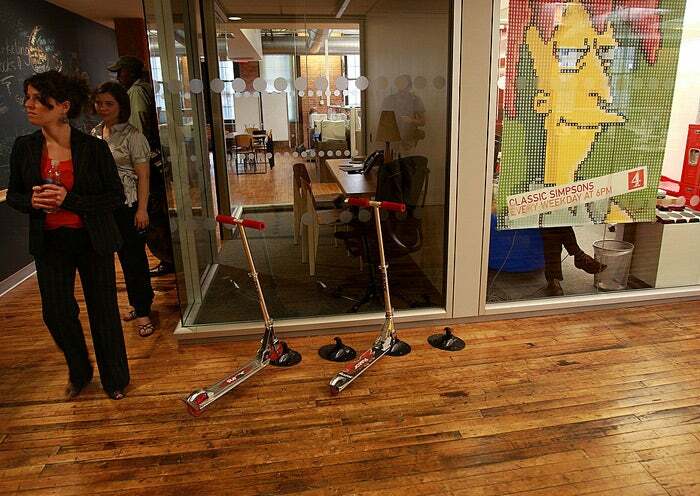 The New York City office has razor scooters for employees to ride around on. Toronto’s office has a rooftop putting green and a DJ room with turntables and black lights. Zurich has unique egg-shaped isolation pods for privacy and a workspace that resembles an underground batcave. 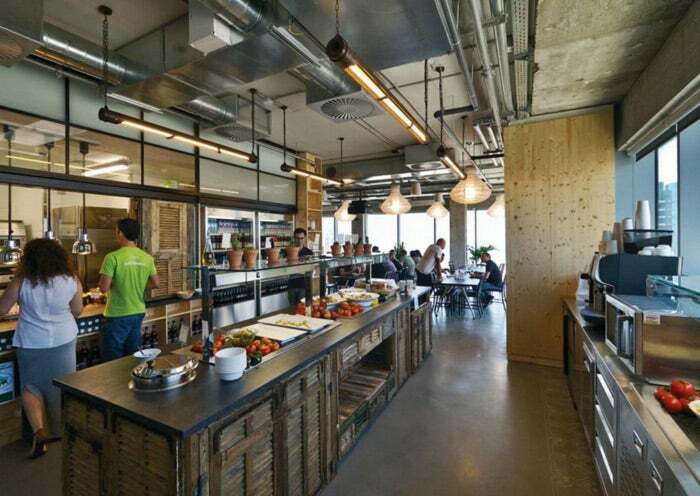 With the acquisition of Onavo, a mobile analytics company that makes apps, Facebook opened an office in Tel Aviv in 2013 and moved into a new 32,000-square-foot office space two years later. 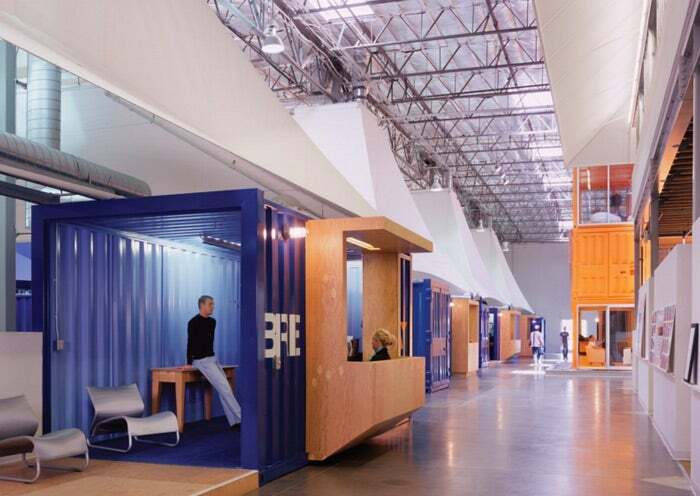 Along with being spacious, its layout is pure Facebook, with its signature scribble wall (which is at every Facebook office) and the space is extremely open -- with very few opaque walls -- enabling transparency and collaboration. The openness is something its CEO, Mark Zuckerberg, spoke about as an important part of Facebook culture back in 2015 when he showed off the new Facebook headquarters in Menlo Park, Calif.
Tel Aviv’s office is a thoughtful and sprawling four-story layout geared toward employee comfort, which includes local elements and materials, such as its window shutters from the Middle Ages that were reconfigured into an island centerpiece for the extremely well-stocked kitchen. Some additional touches are vintage solar water heaters and gas tanks transformed into planters. Along the four-story stairwell is a colorful graphic art installation by well-known Israeli artist FALUJA. 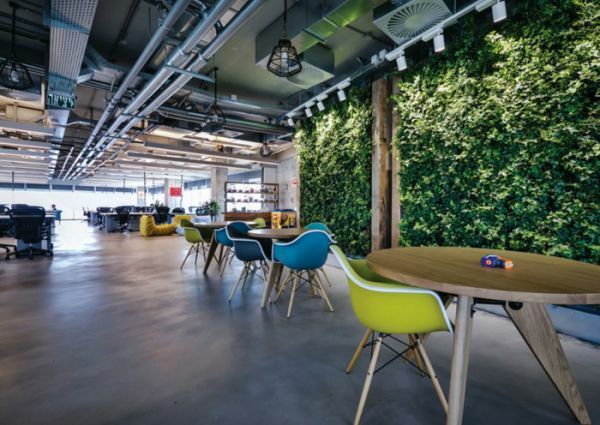 The best part of these offices, however, is how the outdoors are brought inside with a striking wall comprised of green leaves. The roomy 72,000-square-foot Airbnb offices in San Francisco blur workspace and home, featuring a kitchen, library, what is internally referred to as a “nerd cave” and nap room, according to Metropolis. The offices embody the sharing economy way of thinking, with very little fixed seating so spaces are shared and employees are free to roam the offices that are designed to resemble actual Airbnb listings. A fact that got the company into some hot water when a French designer spotted her apartment duplicated right down to the wallpaper -- and a photograph of her grandmother -- in the new Airbnb offices. She sued the company for copyright infringement.